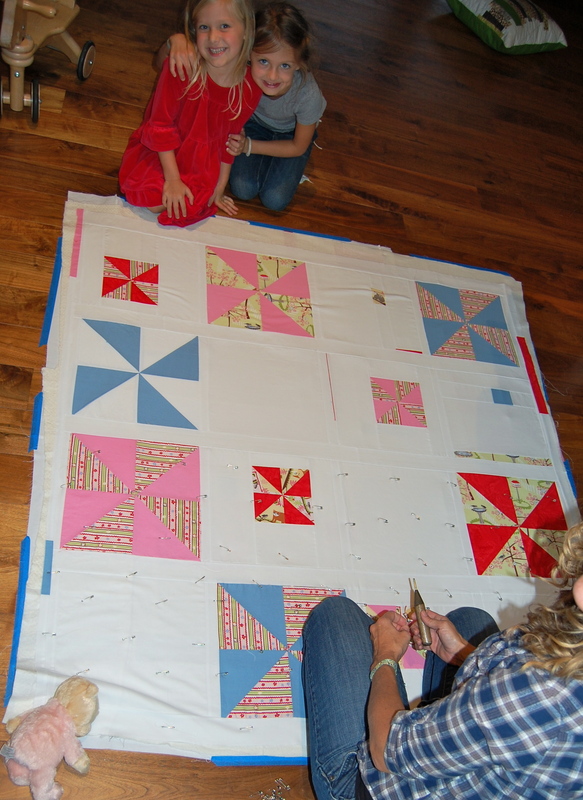 Birthday quilt + birthday girl(with big sister)= unfinished birthday quilt!! Yes, today is the official birthday of Miss N. I can’t believe three years ago today, my last little sweetie began her journey with us. Anyway, we turned the basting of the quilt into a little family style “night before the birthday” party. 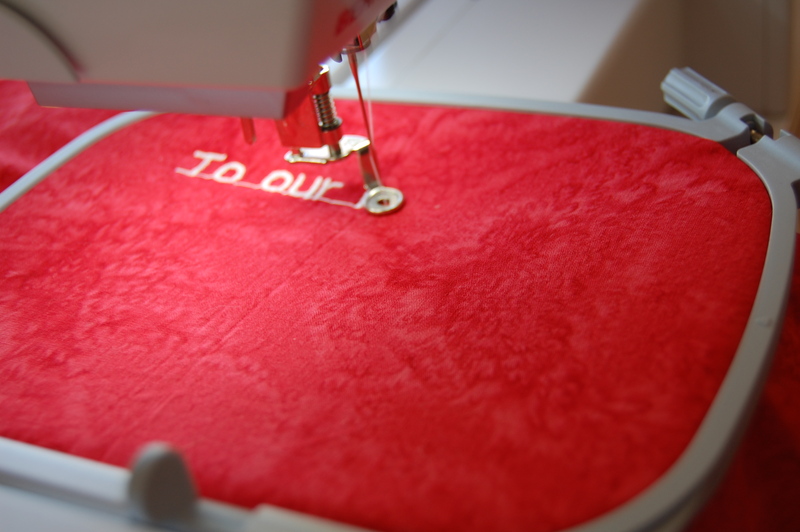 After deciding to make this quilt into Miss N’s birthday quilt, all that was left was the quilt back and the label. “Oh great- I’m way ahead of schedule” I think (that tends to be what I always think)!! Ha! It all has a way of creeping up on me, no matter how prepared I think I am. 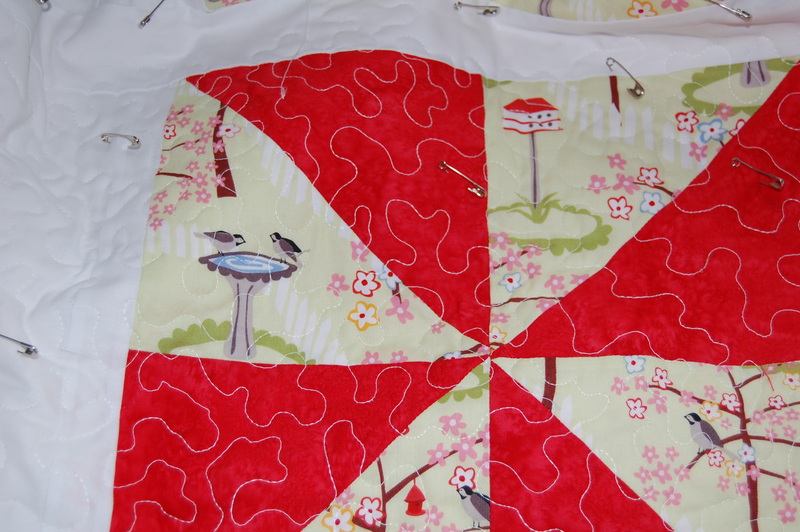 I sort of forgot to consider the basting, quilting, binding part– kind of important…… for a quilt, wouldn’t you agree?!! So here is my quilting progress, as of the day of her birthday!! Thankfully, she is not the least bit concerned with when she gets her quilt and is really just enjoying the process of watching and “helping”. I suppose it could turn into a combined birthday/Christmas gift. I am actually excited to show the finished product, in the next few days, I simply can’t let it drag on that long. It has a been a fun quilt to work on and I really can’t wait to present it to her. 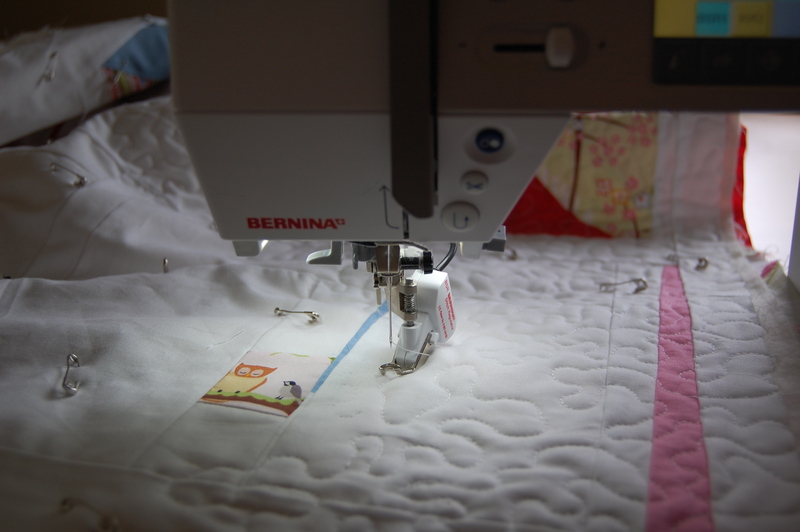 Time to get back to quilting…. Happy Birthday to my sweet Miss N!!! 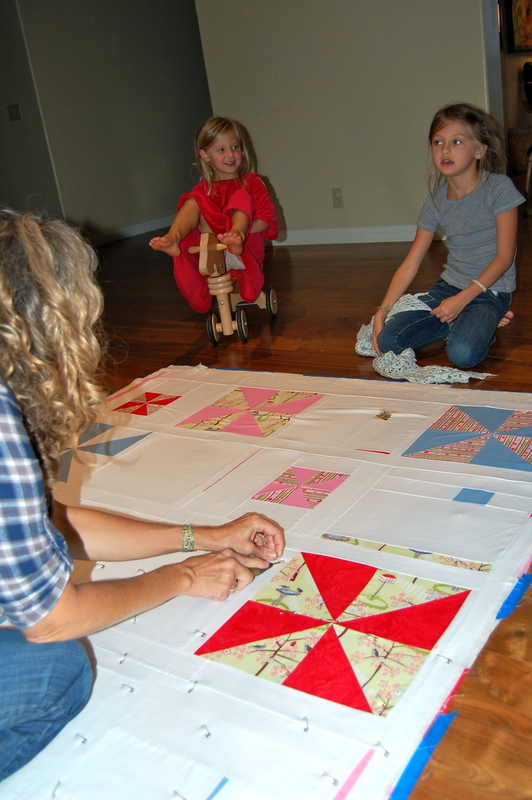 Happy Birthday Miss N. What a lucky girl to be getting such a beautiful quilt made by your Mom! Love how this one is coming together. Happy Birthday to Miss N.
Oh my gosh, it’s going to be so cute when it’s finished. The girls seem excited to just be part of it. Can’t wait to see you all very soon!! !